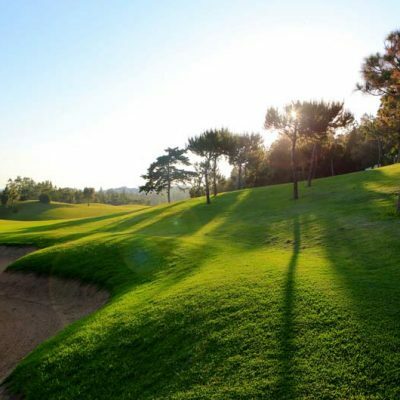 El Chaparral Golf Club is located just off the main N340 coastal highway just ten minutes drive from the centre of Fuengirola and has become one of the most recognisable golf courses on the Costa del Sol. After a period of over 12 years ,when the course was closed and left to overgrow, it has emerged as a quality golf course with some of the fastest and well kept greens on the coast. In the two years since reopening its growing popularity owes, in large part, to its exceptional surroundings, facilities, friendly and professional service and overall value for money. 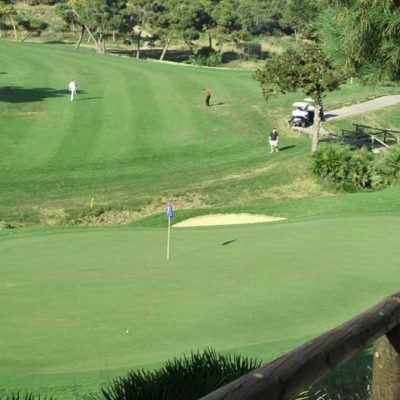 El Chaparral has become a popular destination for visiting golf groups as part of their golf breaks to the Costa del Sol. 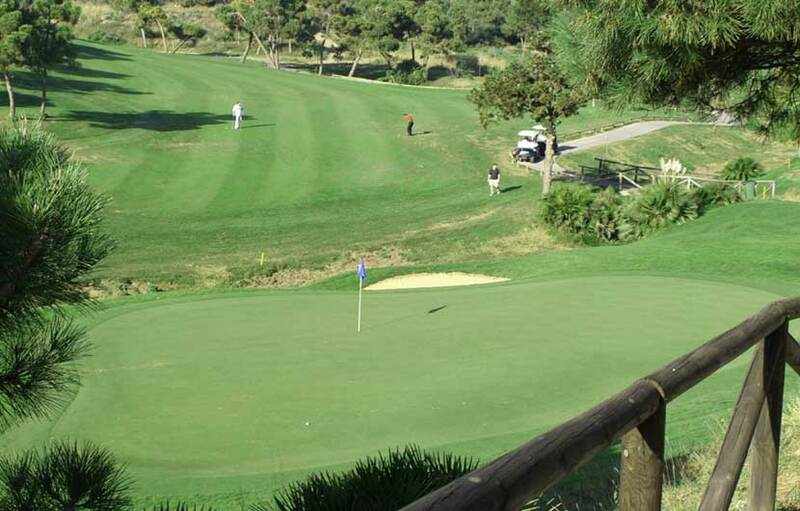 The 18 hole course was designed by the well know architect, Pepe Gancedo and enjoys a privileged setting close to the sea and surrounded by a pine tree forest. 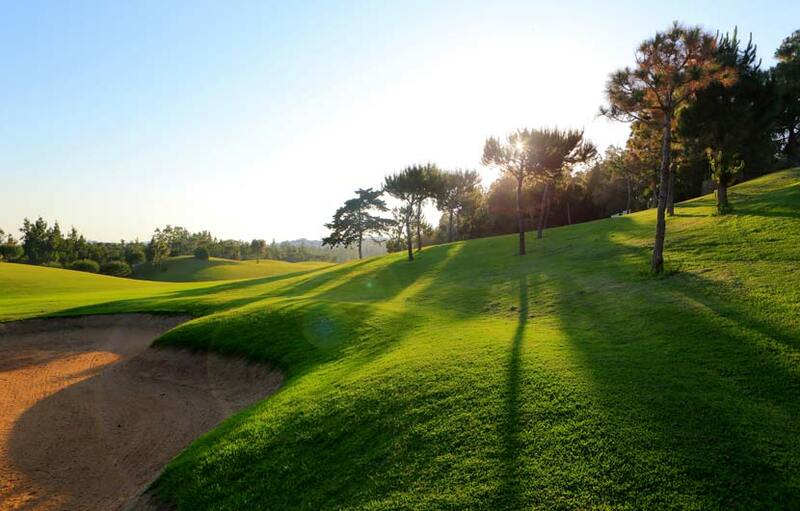 El Chaparral is the only course on the Costa del Sol made up of 6 par 5´s, 6 par 4´s and 6 par 3´s. 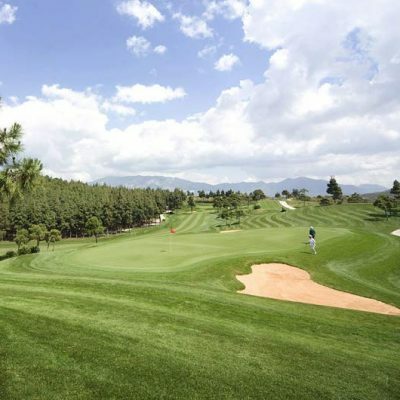 Though not a excessively long course (5,800 meters ), you will find a large variety of holes that are enjoyed by players of all levels. It is a course that requires skill and accuracy, with greens that you will find in fantastic condition all year round. Although very picturesque, the first hole will call on your nerves from the start as a large ravine must be cleared to have any chance of reaching the green in two. 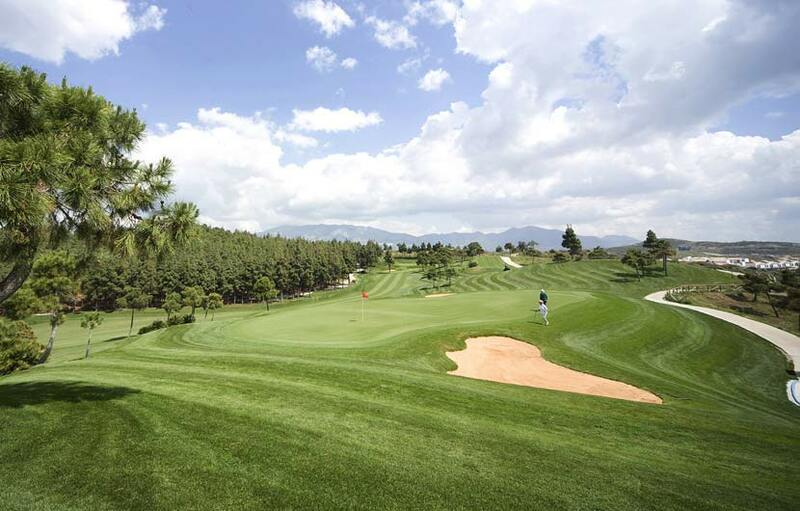 Memorable holes at the El Chaparral Golf Club include the 8th, 307 metre dog leg left. The elevated tees are embraced by a canapé of pine trees on all sides. Savy players will try to take out the corner and leave it positioned beyond a tree located in the middle of the fairway. Get this shot wrong and your ball will be lost in the hazard that stretches up the whole right hand side of the hole. Usually a slightly faded tee shot is sufficient to set you up with a clear second shot to the green. The Par 5 – 17th hole is a strange but fascinating hole, the elevated tees give you a view over the hole in its entirety. A straight tee shot is required to leave it near the end of the driving range opposite and the possibility of going directly over the trees for the green in two. Fade your tee shot and you can say goodbye to your ball and any chance of paring the hole. The charming club house at El Chaparral golf is situated in a prominent position at the heart of the urbanisation. With panoramic views overlooking the 1st tee and 18th greens and the surrounding pine clad countryside, an ideal place to have your after round drink and relax in a tranquil and natural setting. The facilities include a bar/restaurant, offices, members areas, changing rooms, club fitting centre, a hair stylist, tv lounge and pro shop. The Restaurant is aptly run by Ramon and his team and there is always a decent daily menu on offer at very reasonable prices.